Brain injury or traumatic brain injury happens when a trauma causes damages to the brain. A cerebral injury may cause damage in only one area, or it may affect various different areas. When someone suffers from a brain injury, every area of their life is affected, especially personal relationships. To a greater or lesser extent, brain injuries cause an impact on social and familial environments, leading to a reassignment of roles and responsibilities in the family. 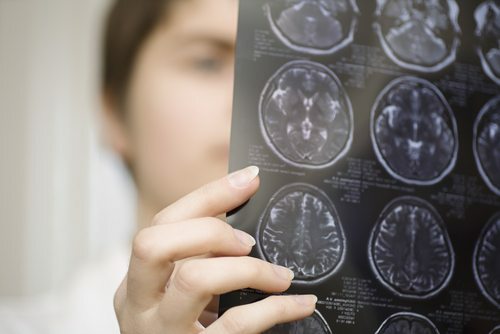 Suffering from a brain injury is as much an adaption process for the patient as it is for their loved ones, who may have trouble adjusting to personality and behavioral changes that they may see in the patient. These changes may cause anxiety, discomfort, and even depression. This is why it is recommended to go through this process little by little, and change roles and responsibilities progressively, so that family members and the patients don’t have to see so many changes all at once. Penetrating injuries: In these injuries, a foreign object is introduced to the brain and causes damage in those concrete areas. The injury is localized in the object’s penetration trajectory, like when someone gets shot. The consequences of these injuries depend on the area affected. Closed head injuries: They are the consequence of a blow to the head and may cause two different types of brain injury. Primary brain injuries: Caused by brain damage caused when an impact is received on the head. It may also include cranial fractures, contusions, hematomas, and nerve damage. Secondary brain injuries: Damages that are progressively accumulated after a trauma and can include cerebral edemas, epilepsy, fever, anemia, blood pressure problems, lung changes, etc. The different brain injuries may have a significant impact on our cognitive abilities. Keeping our cognitive abilities in shape is an important aspect for brain health and quality of life, which is why CogniFit developed scientifically validated brain training programs to assess, measure, and develop a large number of these cognitive abilities. Training consistently may help maintain or improve your cognitive skills that may have been affected by a brain injury or traumatic brain injury.